Ashland Theological Seminary is celebrating 110 years of equipping men and women for ministry in the church and the world. As I become more familiar with the history of Ashland Seminary and speak with those who served here before me, it’s clear that a lot has changed over the years. These changes include a move of location, expansion from a handful of students to several hundred and the shift from one campus to four. And in recent years technology has given us the opportunity and necessity to offer classes online. But the mission of the seminary has not changed. Ashland remains dedicated to training men and women for a variety of roles in ministry. Our Brethren heritage and ethos birthed out of Pietism and Anabaptism keeps us focused on what is most important now and in the future; loving God and loving others. Yet, with all of the changes taking place around us it is natural to ask: what is the future of theological education? Indeed, some may ask if seminaries can survive the upheaval higher education is experiencing. These are important questions and the answers will be as numerous as the various Christian traditions and the seminaries that support them. But in spite of all these changes, one thing that will remain the same is that theological education is not only important, it is part of the very essence of what it means to be the church. The foundation for theological education both now and in the future is rooted in the first and greatest commandment. Jesus said you should “Love the Lord your God with all your heart and with all your soul and with all your mind.” (Matt 22:37). While we might practice loving God with our heart and soul, we sometimes overlook our minds. Loving God with our minds entails probing the depths of scripture and the mind of God in an attempt to better love and understand God. And sometimes loving God with our minds means asking the hard questions. At the same time, theological education should not be simply an intellectual pastime. It is, as Justo González suggests “an act of devotion and obedience to God.” Thus when professors and students gather together to teach and learn, they are not merely exercising their minds, but participating in a form of worship; they are practicing loving God with their minds. Following closely behind Jesus’s first commandment is a second one “Love your neighbor as yourself” (Matt 22:38). This second commandment reminds us that loving God is never for our own benefit, but rather happens in the context of and for the benefit of the larger community of believers. Theology should not be developed, studied and practiced in isolation, but in the context of community, which means the church. Thus just as loving God has a communal dimension, so does good theology and by extension theological education. The goal of theology and theological education in general is to help us love God and lover others. As I noted above, there have been many changes at Ashland Seminary and there will undoubtedly be many more in the future. But the future and the mission of the Seminary remains the same. As we look forward to the next 110 years, we remain committed to training men and women for ministry in the church and in the world. And while that may happen in a classroom, online or some other yet to be realized format, the theological education delivered at Ashland Seminary will remain focused on helping students to love God with their minds and to do so within the context of the community of believers. The future of theological education, indeed of the church, is predicated on our continuing to obey what Jesus considered to be the two greatest commandments. 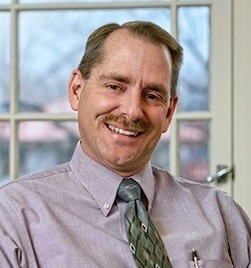 John Byron, PhD is Professor of New Testament at Ashland Theological Seminary and he is currently serving as Interim Academic Dean. Justo González, The History of Theological Education, (Nashville: Abingdon, 2015), ix.